Pork tenderloin is my favorite meat when it comes to pork. 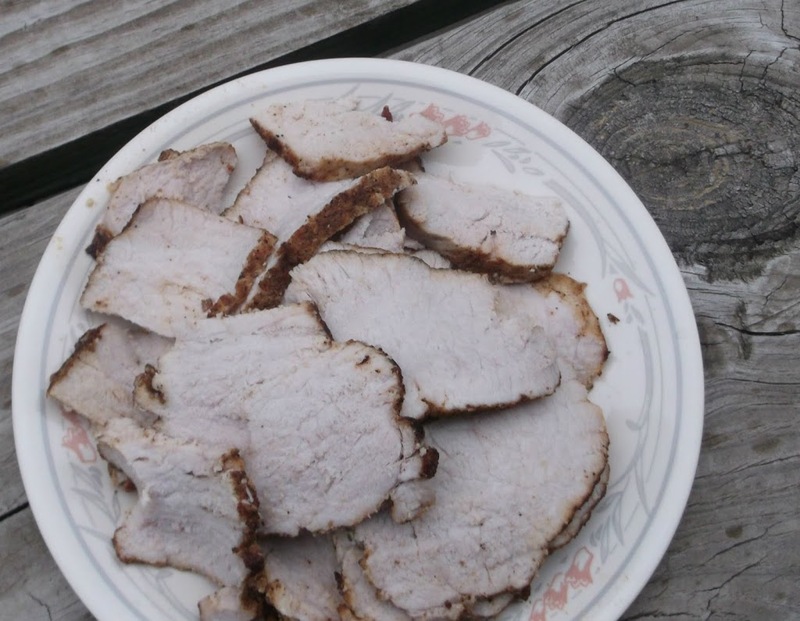 My favorite way to eat pork tenderloin is to have it grilled. It doesn’t matter if it is marinated or what seasonings are used, it always turns out delicious. 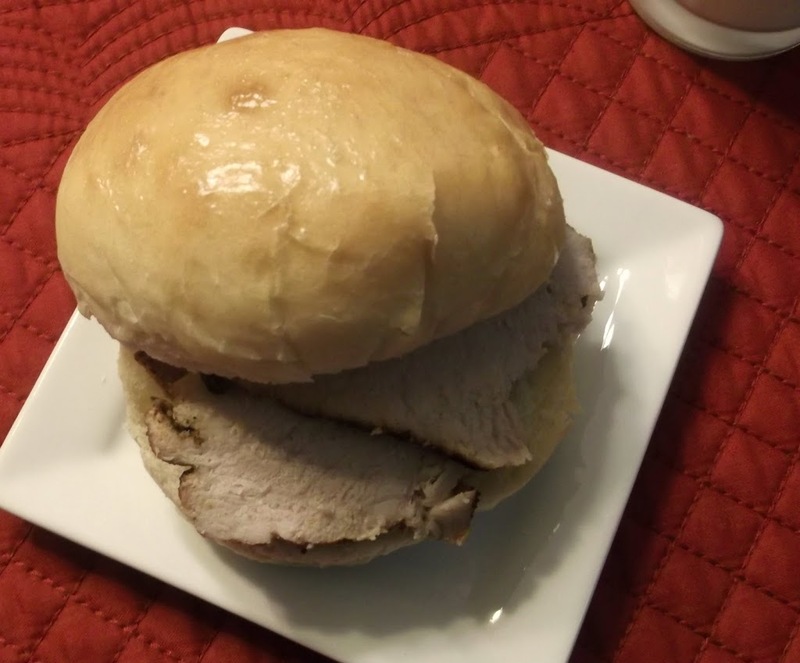 That was my plan last week when I got my port tenderloin out of the freezer … tenderloin made on the grill sliced thinly and stacked on a delicious bun for a great sandwich. Well it didn’t turn out that way. Mike was not at home, he is the one that usually starts the grill (we have a charcoal grill, so it takes a little time to get it started), I was a little too lazy to go outside to get the grill going, and the sky was dark and it looked like it could rain at any minute. So I went to plan B, roasted pork tenderloin. I found a recipe that was appealing on Country Living. It had a nice rub and directions to sear the tenderloin before placing it in the oven. The result on this pork tenderloin was delicious. 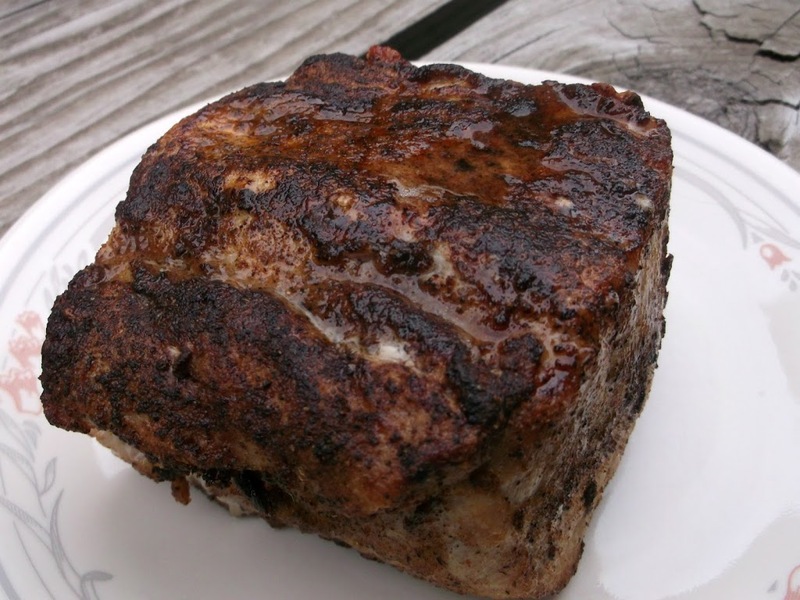 The rub left the flavor of the roast with a little kick and the meat was moist and tender. I would have to say that this way of roasting the tenderloin was just as delicious as making it on the grill. And yes I made the wonderful buns from my last post for these terrific sandwiches. Preheat oven to 350 degrees F. Combine the cumin, coriander, paprika, pepper, and salt in a small bowl. Rub the pork tenderloin with the spice mixture. Set aside and heat olive oil over medium heat. Once hot, add the port tenderloin and sear it on all sides. Transfer the pork tenderloin to a roasting pan (add a little water just so the bottom of the pan is covered a little) and roast meat until there is no pink left and juices run clear. Let set for a few minutes and slice thinly. Put as many slice of roasted tenderloin on sandwich, top with favorite toppings. We used Dijon mustard, very yummy!! Also at this time I would like to say thank you to Karen at Baking in a tornado for giving in the Liebster Award. Karen always has an interesting post and wonderful recipes, so I hope you will stop by her blog and say hi. Now that’s my kind of sandwich! Pork is great no matter how you cook it (or what cut it is), but roast tenderloin is wonderful. Really like the cumin and coriander in the rub. This must have tasted wonderful! Thanks for sharing.